This page contains a single entry by csoltis published on October 30, 2011 6:30 PM. 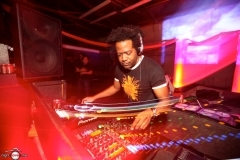 COMPRESSION: DJ Pierre, Robtronik, Meeshel. Oct 14, 2011 was the previous entry in this blog. VOODOO: Maya Jane Coles, Eduardo Castillo. Oct 29, 2011 is the next entry in this blog.